For 25 years, Hirofumi Yamashita (d. 2000) fought a reclamation project in Isahaya Bay, one of the world’s richest wetlands, forcing the government to scale back the massive dike and reassess the reclamation’s environmental costs. Isahaya Bay, located on the island of Kyushu, is one of the largest and richest tidal flatlands in Japan. Tens of thousands of migratory birds have used it as a wintering ground and stopover. Called the “womb of Ariake Sea” by local fishermen, the bay has long served as the spawning site and nursery for offshore fish stocks. Endemic mudskippers inhabit the bay, along with many unique species of crab, shellfish and lugworms. After World War II, the Japanese government proposed reclaiming all of Isahaya Bay to create additional agricultural land. 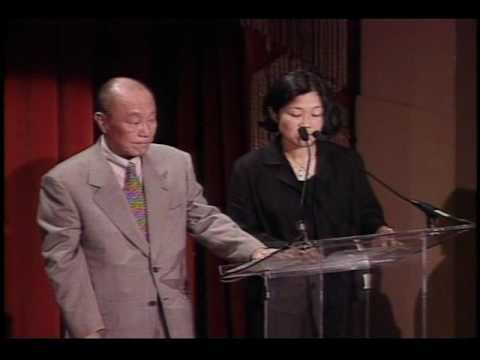 Hirofumi Yamashita (d. 2000) studied ichthyology and after working at the Ariake Sea Fisheries Experiment Station, he became a regional labor organizer addressing pollution issues. 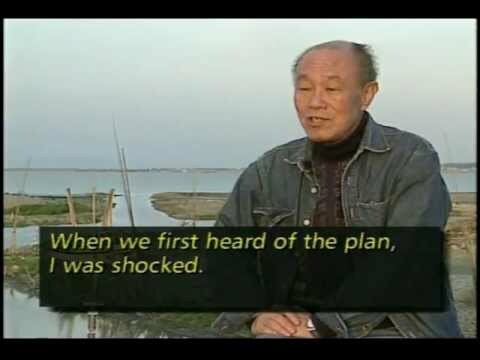 In 1972 Yamashita learned of what was planned for one of the richest wetland ecosystems in the world and began a lifelong struggle to save the bay. Bringing together local fishermen, townspeople and concerned citizens, he established the Association to Protect the Natural Environment of Isahaya in 1973. Yamashita organized not only the Isahaya fishermen, but those of the entire Ariake Sea to oppose the project and to follow sustainable fishing practices. In 1982, as a result of Yamashita’s efforts and a heroic struggle by the fishermen, the 10,000-hectare development plan was temporarily halted. During this time Yamashita received anonymous phone threats, was ridiculed in the media and faced ostracism from colleagues as well as the general society. He refused to accept a payment of $268,000 offered by the Ministry of Agriculture, Forestry and Fisheries if he would agree to abandon his efforts to save Isahaya. In 1992, he catalyzed other organizations to form the Japan Wetlands Action Network, composed of 70 grassroots and national conservation organizations, and became its spokesperson. The Isahaya Bay Development Plan was changed into a flood prevention plan and the scale was reduced to 3,550 hectares. However, Yamashita uncovered a governmental report that had been suppressed for 13 years which disclosed that the plan would not be an effective flood prevention measure. He also showed that little demand exists in the area for new farm land. Furthermore, to clarify the importance of these tidal flats, he carried out surveys of the bay’s bottom-dwelling organisms. These studies proved that the Isahaya Bay tidal flats were rich in biological diversity rarely seen in the world. This research was crucial in revealing the deficiencies of the government’s impact assessment. Nonetheless, in April 1997, the Isahaya Bay and its 3,000 hectares of tidal flats was closed off from the ocean by a wall of 293 steel plates. From this moment on, the Isahaya Bay reclamation project became a major national issue that has captured the attention of Japan’s citizens. Yamashita formed the Isahaya Bay Emergency Rescue Task Force and fought for a complete review of the project and to open gates in the wall to revive the ecosystem. He conducted scientific surveys to monitor the changes occurring as the wetland dries out and its effects on the Ariake fishing industry. Because the Isahaya Bay issue encompasses all that is abusive in Japan’s public works policy, Yamashita made it clear that his campaign is also a movement seeking a basic reformation of the environmentally destructive public works industry in Japan.